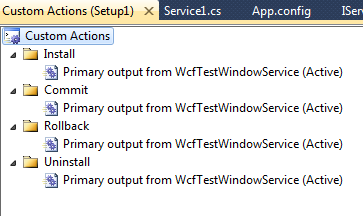 In this post we will discuss how to create a wcf service as well as how to host that wcf service as a windows service. 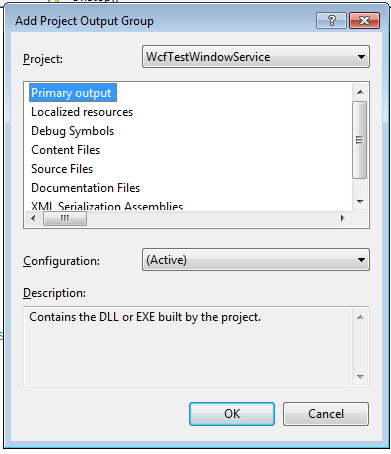 Open Visual Studio 2010 and Click on File -> New Project -> Go to the WCF project template and then select WCF Service Library. The project contains one App.config file, Iservice1.cs file and Service1.cs file. You can write your code in the Service1.cs file. I added a simple method to this class as below. And implement the method in the Service1.cs as below. <endpoint name="NetTcpEndPoint" address ="" binding="netTcpBinding"
Remember this step is very important. so be careful while changing the baseAddress, endpoint and serviceBehaviors. Now our WCF service work finished. Now we need to create a window service that will host the WCF service. For this go to the Solution right click on it. Add new project and select Windows service from there. 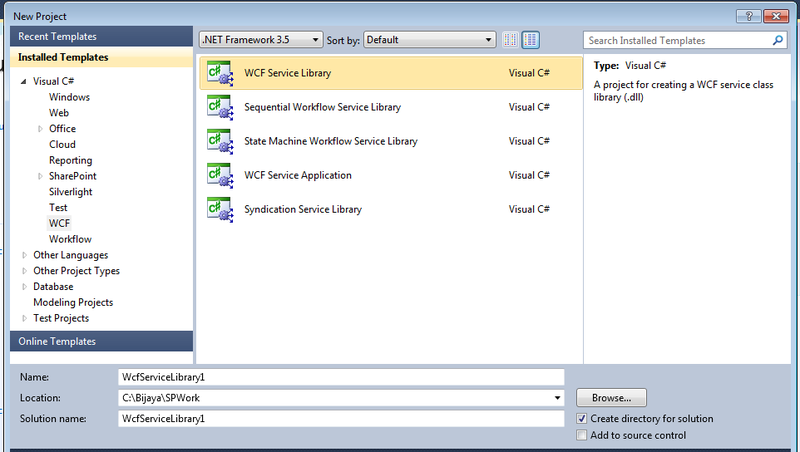 Then your windows service project will appear in the solution explorer. Here first we need to give two references. First one is the WCF project that we have made first. For this click on Refernces -> Add Referencce and select the project section by visiting the project section from the reference window. And then Give reference to the System.ServiceModel namespace from the .Net section in the Add Reference window. After the reference work complete, Copy the App.config file from the WCF project and Paste it in the Window service project. Here no need to change anything. 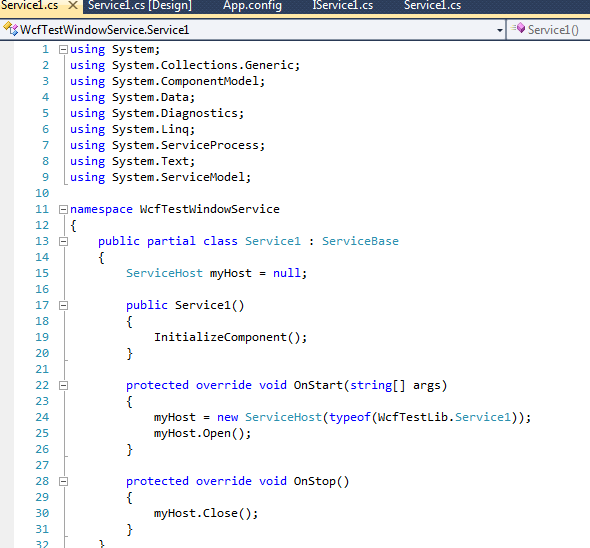 Then write ServiceHost myHost = null; in the class and override the methods as follows. 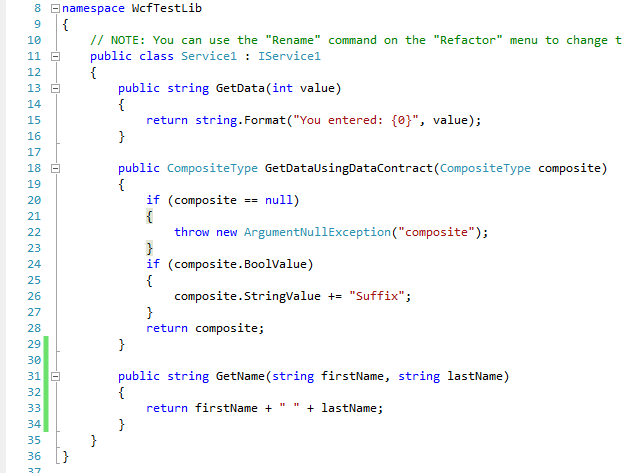 Here one thing to remember is that the typeof contains WcfTestLib which is my WCF library project. The full code will look as below. In the next step open the Service1.cs designer page Right click and Add Installer. 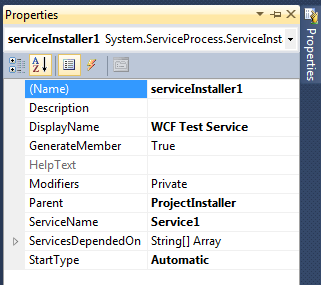 From there you select serviceInstaller1 and select F4. And in the properties You can give the display name that will appear in the list of services in the control pannel. Also you can select the start type. See the figure below. Then click on the serviceProcessInstaller1 and click on F4. 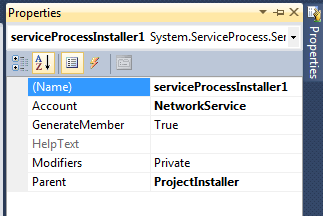 And in the properties window change the Account to NetworkService as shown in the figure below. Now you can rebuild the project and our windows service is ready to install. You can install it by using the command InstallUtil.exe but I am here going to describe how you can install by creating a set up project. 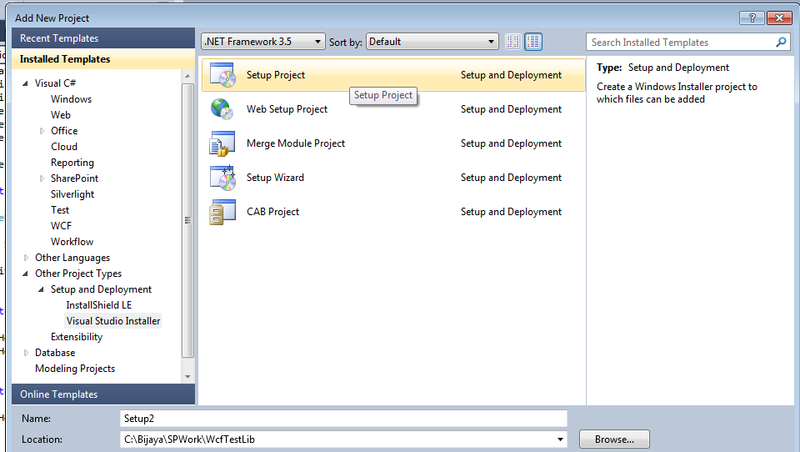 To create a set up project go to the solution explorer, right click on it then Add new project then select other porject types -> then Setup and Deployment and then Visual Studio Installer and the Select Setup project template as shown in the figure below. 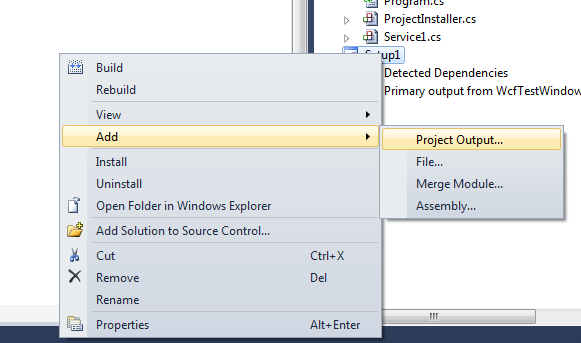 Then right click on the set up project and Add -> Project output as shown in the figure below. The from the Add project output group window select your Window service project and select Primary output and click on ok as shown in the figure below. Then right click on it and select View-> Custom actions as shown below. 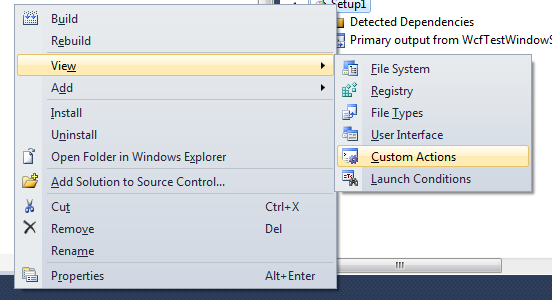 Then right click on Custom Actions and click on Add custom action and click on Application folder in the Select Item in Project window and select the primary output. The final window will appear like below figure. Now you code is ready to install and then you can go to the debug folder of the setup project and click on setup.exe or setup.msi it will install the service. And to check write services.msc in the Run window and clcik on ok. And from the list of services you can check the service. net.tcp://localhost:8732/Design_Time_Addresses/WcfTestLib/Service1/mex or you can copy the URL from the App.config file. If the service is working then you can get result like 1 service found.